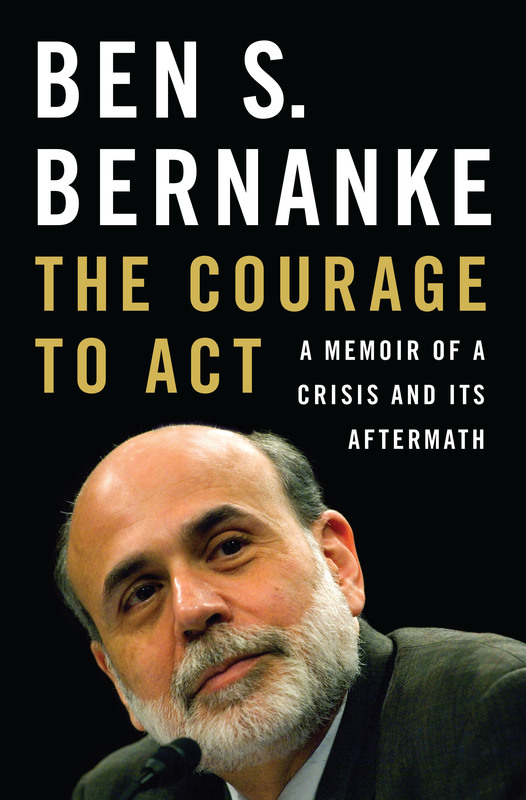 The highly anticipated memoir by former Federal Reserve chairman Ben S. Bernanke, which will be published by W. W. Norton & Company in October 2015, will be titled The Courage to Act: A Memoir of a Crisis and Its Aftermath. The title and jacket were revealed today by Norton president W. Drake McFeely. In The Courage to Act, Ben Bernanke will pull back the curtain on the tireless and ultimately successful efforts to prevent a mass economic failure. Working with two U.S. presidents and two Treasury secretaries, Dr. Bernanke and his colleagues used every Fed capability, no matter how arcane, to help keep the U.S. economy afloat. From his arrival in Washington in 2002 and his experiences before the crisis to the intense days and weeks of the crisis itself, and through the Great Recession that followed, Dr. Bernanke will give readers an unequaled perspective on the American economy. This narrative will reveal for the first time how the creativity and decisiveness of a few key leaders prevented an economic collapse of unimaginable scale. From 2006 to 2014, Ben S. Bernanke served as chairman of the Federal Reserve. He was named Time magazine’s Person of the Year in 2009 and was a professor of economics at Princeton University prior to his career in public service. For more information, visit CourageToActBook.com.